Director Kim Jee-woon cranks in "The X"
Gang Dong-won, Shin Min-ah and Esom got together for director Kim Jee-woon's new movie "The X". Action thriller "The X" which is being produced by Screen X by CGV which destroyed the screen borders has been cranked in. "The X" is the return project of Kim Jee-woon who has come back from Hollywood after "The Last Stand". Gang Dong-won's appearance, Shin Min-ah's movie come back and Esom's appearance makes it that much more interesting. The leading character 'X' goes through a wild chase while delivering a package he does not know of. 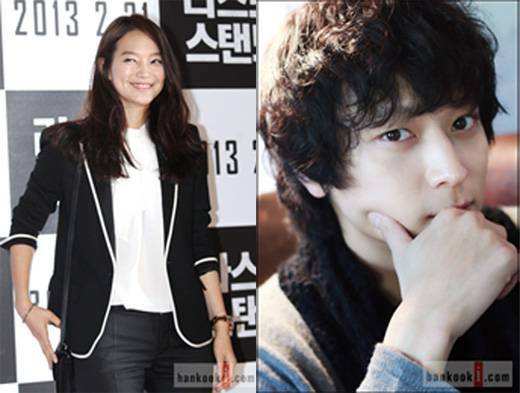 Gang Dong-won plays 'X', Shin Min-ah is his girlfriend Mia and agent Fingers is played by Esom. The biggest characteristic of "The X" is that it is the first movie applied with "Screen X's" revolutionary skills. Screen X is a multi-projector skill which creates a kind of dome effect, expanding the screen throughout the whole theater from left to the right wall like a panorama. CGV is producing this movie with Kim Jee-woon to suggest a new kind of paradigm. "The X" will take a month to produce and will be released in the spring. "Director Kim Jee-woon cranks in "The X""
Kim Woo-bin cast for "Friends 2"
Cho Jin-woong "The open propose was very embarrassing"
Who is director Park Chul-soo?